At around 7:15pm on Thursday 8 November a man on a bicycle tried to grab a 33 year-old woman’s handbag as she was walking through the alleyway between Morrisions and Clarence Road in Gosport. The woman resisted and kept hold of the bag, her husband detained the man on the bike at the scene until police arrived. The suspect was arrested and searched and found to be in possession of a lock knife. 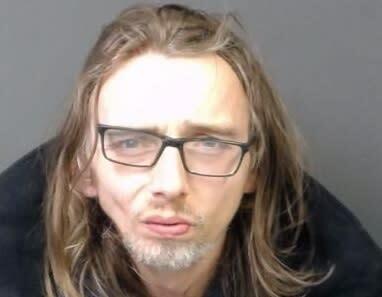 At Portsmouth Crown Court on Monday 10 December 39 year-old Richard Lee Keady of Landon Road admitted attempted robbery and possession of a lock knife in a public place. 22 months in prison for attempted robbery. 6 months in prison for possessing the knife in a public place to be served concurrently to the attempted robbery. 18 months in prison for breach of a suspended sentence to be served consecutively to the attempted robbery. Police Staff Investigator William Johnston said: “This sentence sends a clear message that Keady’s actions were totally unacceptable. The fact that he had a knife on him could have seen the situation escalate very quickly. While I commend the actions of the woman and her husband we would never advise anyone to confront someone that tries to steal your property in the street. Always dial 999 as quickly as possible in an emergency. “I’d also advise people to be aware of their surroundings while walking at night. It’s not just other pedestrians that you need to look out for, as in this case, thieves may use bicycles or other modes of transport to make a quick getaway. Always report anything suspicious that you may see while out and about by calling 101 or visiting our website”.